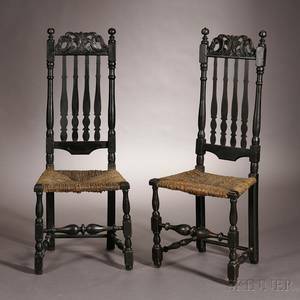 Forged iron collar, mid 19th c.
Pair of Windsor Bowback and Black Painted Thumb-back Side Chairs and a Black Slat-back Rocker. 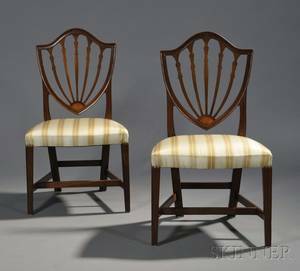 Three Chairs two painted thumb-back side chairs and a tiger maple fancy side chair. 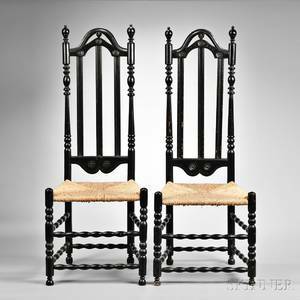 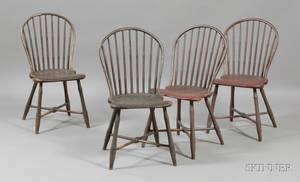 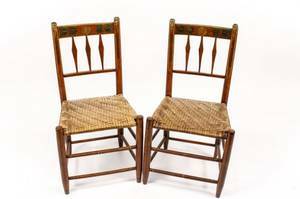 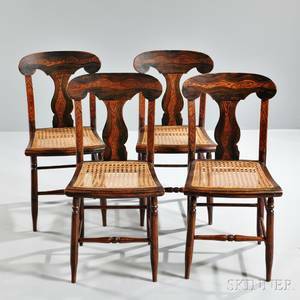 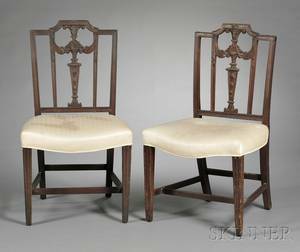 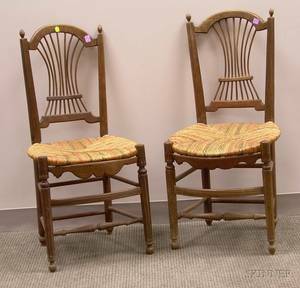 Pair of French Provincial Ash Spindle-back Side Chairs with Painted Woven Rush Seats.